One thing is for certain, the marketing landscape will look different. New technology, behavior, politics, and even new audiences can throw even the top brands for a loop. So how do we predict and adjust? As managing director of POSSIBLE Seattle, Gareth works with brands of all shapes and sizes to help future-proof their business. He's responsible for the overall growth of the agency and ensuring it stays at the cutting edge of marketing and technology. Previously Gareth was Chief Brand and Content Officer at DigitasLBi, and global marketing director of LBi in London. Prior, he spent 10 years as a journalist editing a range of business titles including Marketing and Revolution. Gareth began his career as a broadcast journalist making programs for BBC Radio 4. 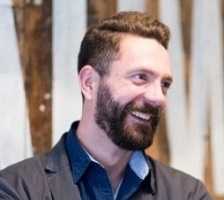 He is also a BIMA executive board member, Hyper Island lecturer, columnist for The Drum and a founder of UK NewFront, a collaborative thought-leadership program aimed at stimulating creativity within the branded content marketplace.